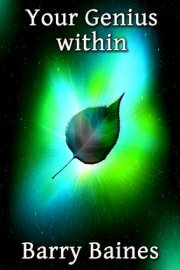 The Secret Law of Attraction Books, is a slightly tricky topic and The Secret itself even more difficult, so I have been sitting here for a while wondering how to write this review in a balanced way. I think I had better tell you how reading it has affected me and you can make up your own minds whether you want to look at it. Undoubtedly, the book is a best seller and is reported to have been translated into 44 languages and sold over 21 million copies worldwide. On that basis, I suspect that its general message has been popularly received. But equally it has received scathing criticism from cynics and other people who I have no doubt genuinely believe that it is pernicious drivel. When I first flicked its pages I put it down again rather quickly, but was later persuaded to listen to the audio version. I should also say that the DVD movie of The Secret¸ which I have seen too, has been equally popular (or reviled) depending on your particular point of view. The notion of the Secret was inspired by Rhonda Byrne’s own reading of The Science of Getting Rich by Wallace Wattles. She drew together a number of people described as teachers, most of whom practice in the personal development field in one way or another. Each of them was interviewed at length on film and the book and DVD are littered with quotes from them. The final work is what I would describe as a rather syrupy collection of assertions and quotations that may give the impression to some that all they have to do is to sit in a chair, envisage what they would like in life, keep thinking about it in a positive way and in due course the universe will make it happen for you. I know that since the book was written views have been expressed that what many of the 24 teachers said has been severely edited to include only those parts that are likely to appeal to the masses. Dr John DeMartini, human behavioural specialist, says that he was filmed for a number of hours but just a few minutes’ worth of what he actually said have been included. The views of some of the teachers quoted in the book may have been distorted to the extent that they do not actually advocate that you can get your heart’s desire by doing nothing. You can find out what some of them say by reading the Teachers of the Secret and the pages about those featured teachers. It is true that you must first know what it is; it is true that you must envisage it (get a picture of it in your mind); but then you must create an action plan, take action, pursue your goal and persist. Then you can have anything. So, what did the book do for me? I watched the DVD and listened to the recording just after I had been ill four years ago. Rather than take notes, I bought the book so I could review it. I did not swallow Rhonda Byrne’s theory whole by any means, nor some of the more extreme examples cited in the book. Rhonda Byrne has not made a fortune from The Secret by doing nothing. She had an idea, pursued it, persisted in it and made her vision happen. But all this did make me curious to find out more about some of the people who appeared on the DVD. I Googled Dr John DeMartini, found he was speaking in London shortly afterwards, and went to see him. That led from one thing to another. 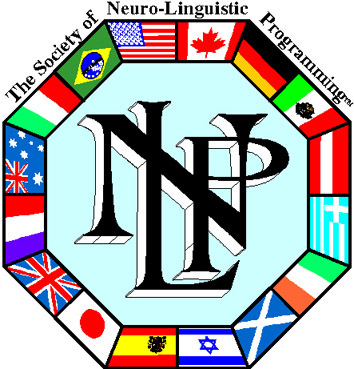 I took up Jack Canfield’s suggestion of finding out about NLP. 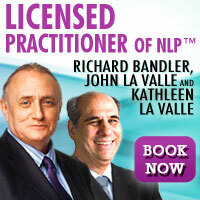 That led to me attending Dr Richard Bandler’s NLP courses and ultimately qualifying as a Master Practitioner and then NLP Trainer. I have listened to tapes and read books by a number of the Teachers of the Secret. As a result of all those things my consulting business has completely taken off, and this website certainly wouldn’t have been written if I hadn’t first come across The Secret. So it really doesn’t matter whether I found the presentation of The Secret a little sickly sweet, and contributions by some of the more extreme contributors a touch disingenuous. The plain fact is there was enough there to set me off on a trail that changed my life. I suggest you read it and make up your own mind. The price won’t break the bank and you never know what might be round the corner. If you enjoyed The Secret, I have no doubt you will enjoy The Power as well because it is more of the same thing without the contributions of the 24 Teachers of the Secret. There is an overriding theme of love and gratitude, because Rhonda Byrne says we were meant to have an amazing life and the book sets out to show us just that. Life, she says, is so much easier than you think it is. What you need to do is come to understand the way life works, as well as the power you have inside you and then you will have that amazing life. As you read it through it is hard to disagree with notions of love and gratitude despite the mawkishly sentimental way the concepts are expressed, but for me this one added nothing to The Secret. This is Rhonda Byrne’s latest contribution which she dedicates to you with the words May the Magic open up a new world for you and bring you joy for your entire existence. That is my intention for you and for the world. There is nothing new in it. If you have read The Secret and The Power you won’t find any earth shattering news here. In fact, if you didn’t get the message from those two books, it is difficult to see why you would get it from this one. Having said that, if you like motivational books, it is well-presented and an easy read. Its theme is gratitude and counting your blessings. The book is littered with little exercises that you are asked to perform whilst holding your magic rock in your hand. Of course, if you count your blessings and you are grateful, you are much more likely to have a healthy view of life and act accordingly. But I am bound to say I don’t think the magic rock will make the slightest bit of difference!